The ’80s have come back in style like five times. It’s about time for the late ’90s/early ’00s to come back. Especially the sparkly wide-leg jeans. I need some of those in my life. 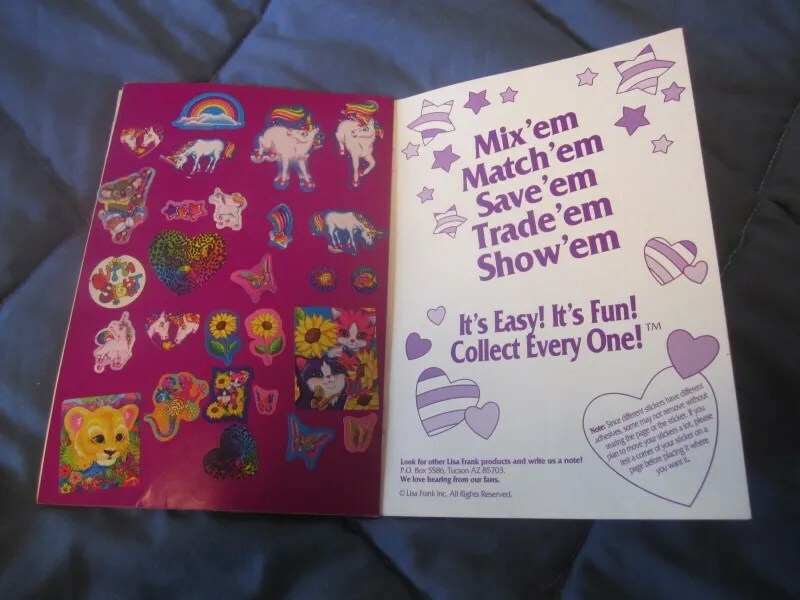 Rainbows and unicorns and puppies, oh my! I’m sick (booo), so I’m just sitting around trying to entertain myself with the internet. 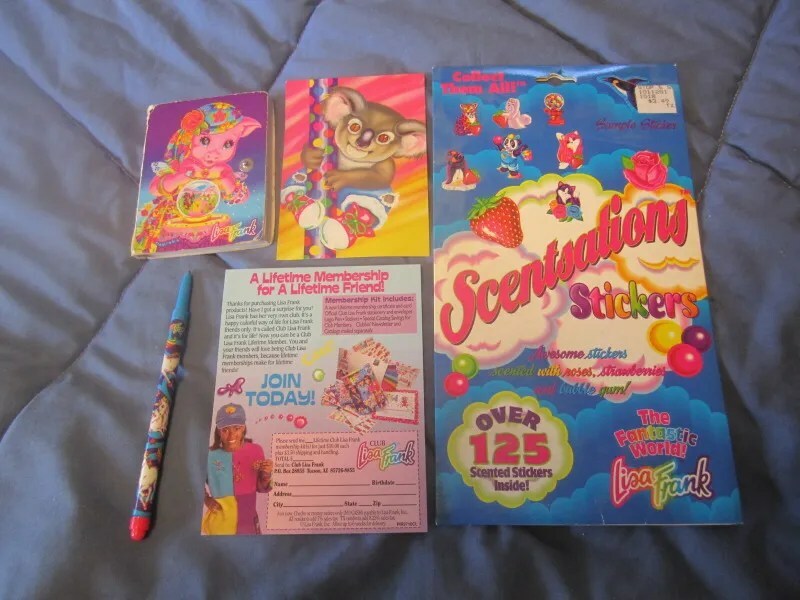 Which has led to looking at lots pictures of Lisa Frank school supplies from the ’90s. 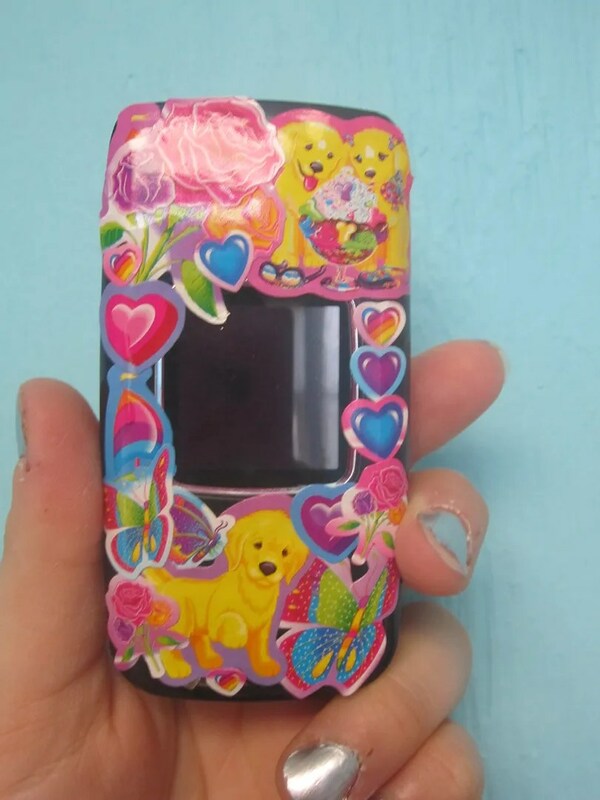 And covering my phone in Lisa Frank stickers. Liked my scans from Alloy and Girlfriends LA? 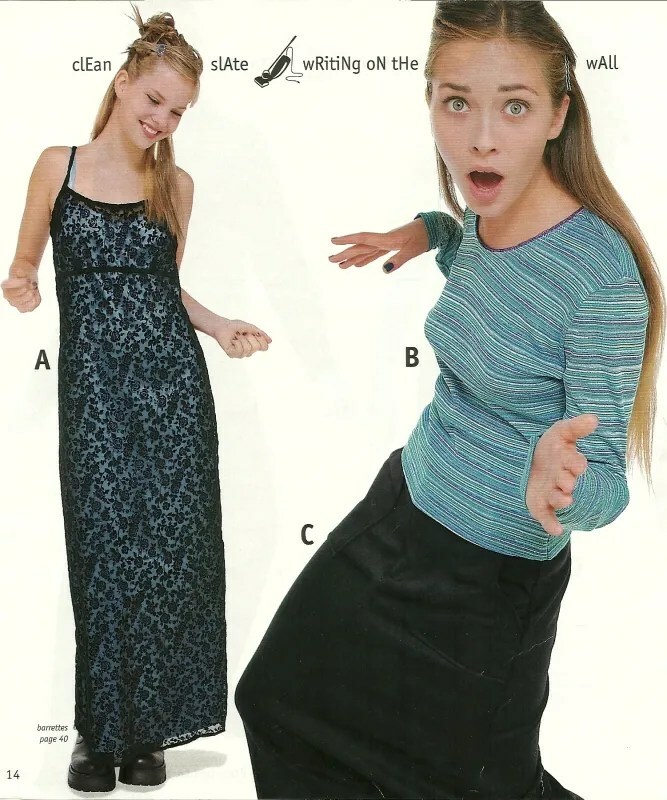 Here are a few more, from Delia*s.
I had a mixed relationship with Delia*s–for the longest time, they carried only up to size 13. 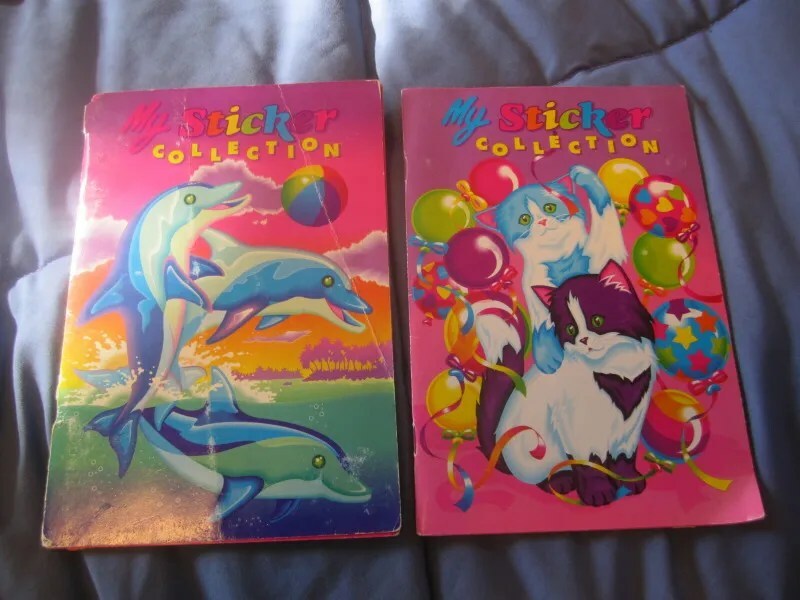 Eventually, they did expand their size range on some clothing, but I’ll always think of them as the first catalog I both loved and felt completely excluded from. 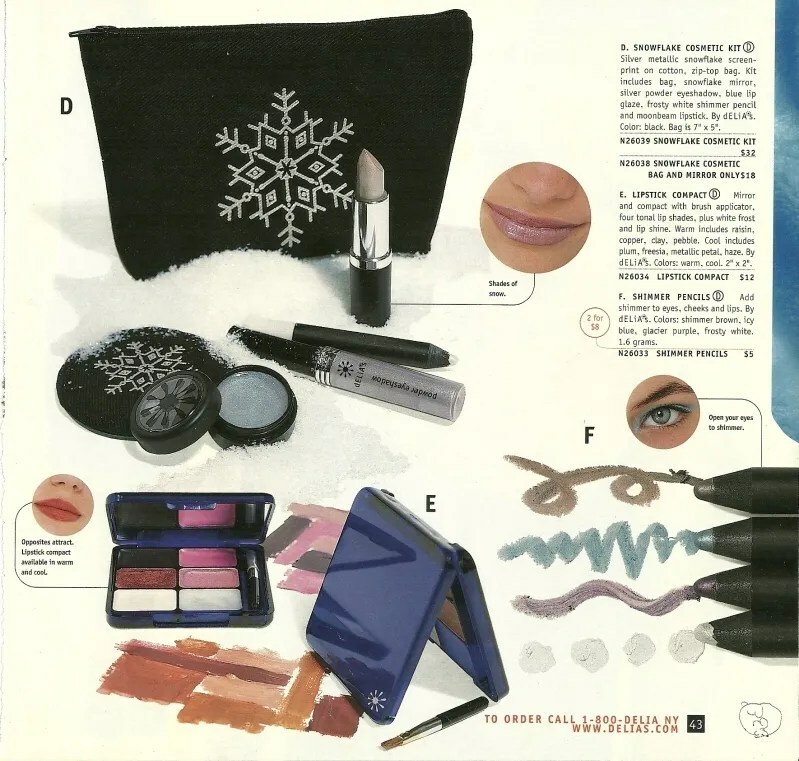 Now, so many years later, I can look back and enjoy the fashion, with only a twinge of remembering that feeling. 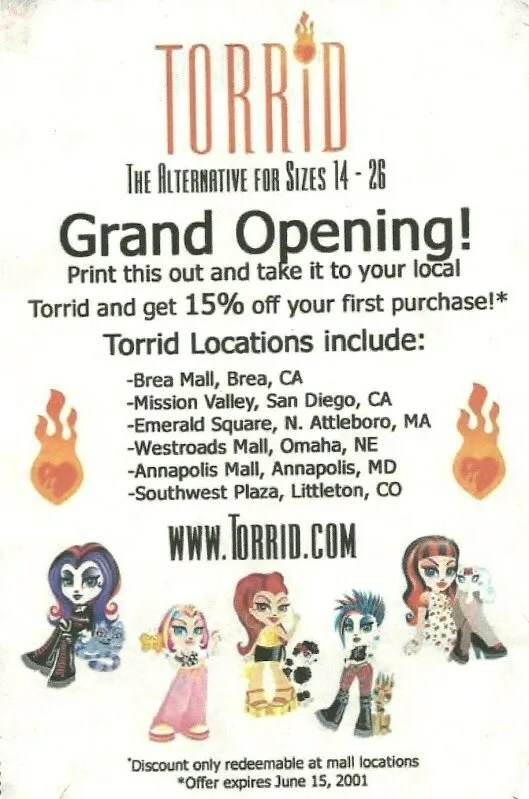 Remember when Torrid was actually alternative? Guys. Guys. 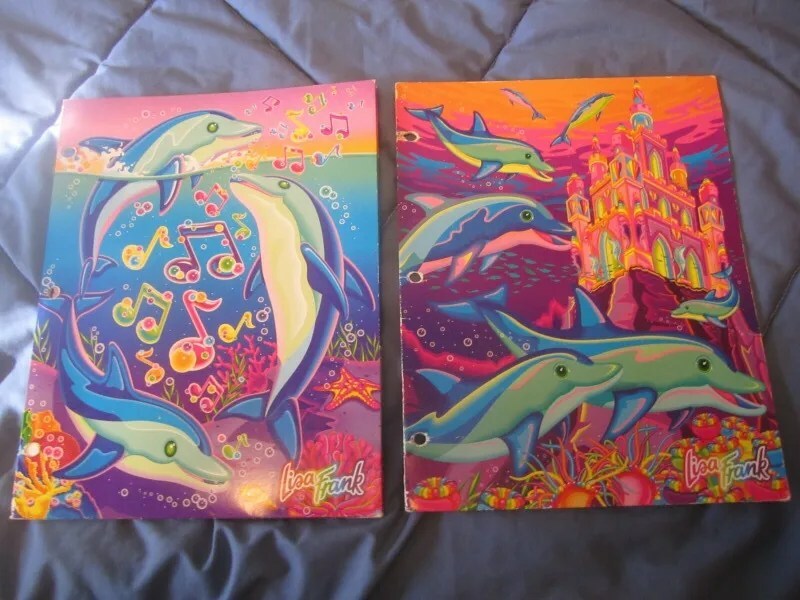 Remember Lisa Frank?? 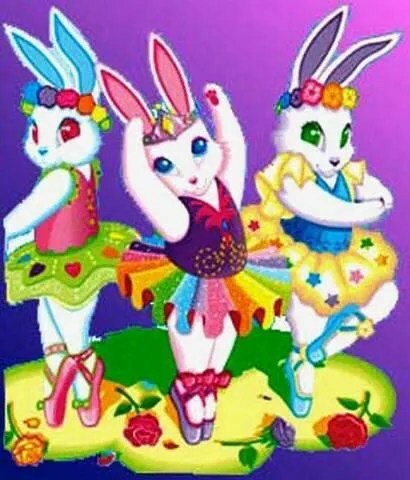 This explains my love of flower crowns and rainbow tutus. There’s a new interview with her that’s been going around the blogosphere.